Nice big space, good location. Comfortable bed and good shower. The bed was comfortable so for 2 people it would be nice to stay in wasnt great for 3 people it wasnt a pull out sofa bed, there was air bed you could use so had alternatives. It was really close to sky city and central auckland but not close enough to hear the noise. 就在市區天空塔附近，還附免費停車位，以這樣的價格來說很實惠！ 房內有點舊，但設備很齊全，還附有洗衣機跟烘乾機。 Just in the city and very close to sky tower. There are a free parking. Good price with all these condition. Not new, but got everything you need in the room, even if washing machine and dryer machine. Auckland City Center Furnished Apartments This rating is a reflection of how the property compares to the industry standard when it comes to price, facilities and services available. It's based on a self-evaluation by the property. Use this rating to help choose your stay! Auckland City Center Furnished Apartments is located in Auckland, 1,000 feet from SKYCITY Auckland Convention Center. Sky Tower is 1,300 feet from the property. Free WiFi is available and free private parking is available on site. All units feature a seating and dining area. All units include a kitchen equipped with a dishwasher and oven. A microwave and coffee machine are also featured. Towels and complimentary toiletries are offered. 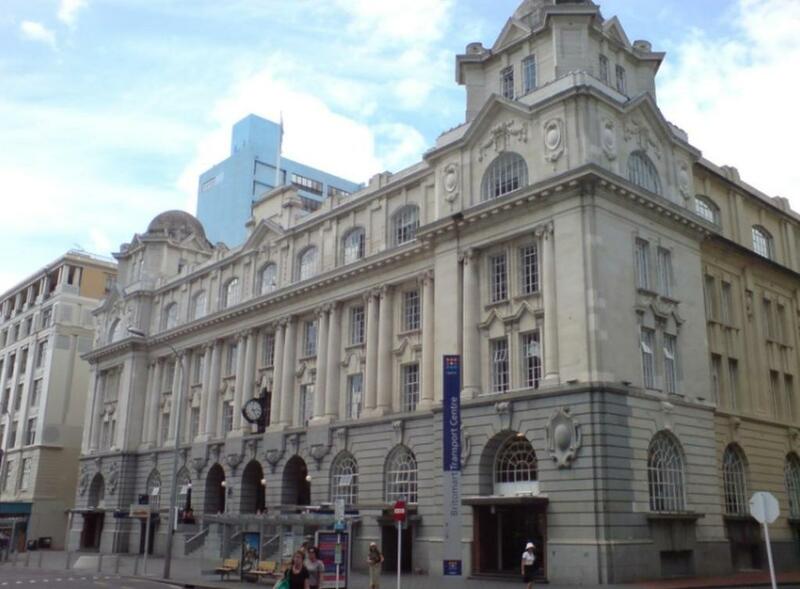 Aotea Center is 1,950 feet from Auckland City Center Furnished Apartments, while The Civic is 1,950 feet away. The nearest airport is Auckland Airport, 11 mi from the property. 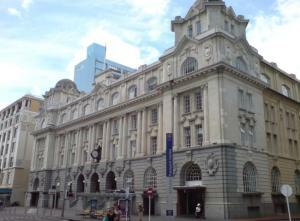 뀐 Located in the real heart of Auckland, this property has an excellent location score of 8.7! When would you like to stay at Auckland City Center Furnished Apartments? This apartment has a washing machine, electric kettle. House Rules Auckland City Center Furnished Apartments takes special requests – add in the next step! A NZD250 damage deposit is required 7 days before arrival (about USD166.01). This deposit will be fully refunded 14 days after check-out, as long as there isn't any damage to the property. Auckland City Center Furnished Apartments accepts these cards and reserves the right to temporarily hold an amount prior to arrival. Please note the complimentary toiletries are offered once only. For additional supplies you must bring your own. Please inform Auckland City Center Furnished Apartments of your expected arrival time upon booking. You must also submit all required documentation prior to check-in. For more information, please contact the property using the details found on the booking confirmation. Please note you must call/notify the property at least 1-hour prior to arrival to ensure your room is ready to be occupied. Please inform Auckland City Center Furnished Apartments of your expected arrival time in advance. You can use the Special Requests box when booking, or contact the property directly using the contact details in your confirmation. A damage deposit of NZD 250 is required. The host charges this 7 days before arrival. That's about 166.01USD. This will be collected by credit card. You should be reimbursed within 14 days of check-out. Your deposit will be refunded in full by credit card, subject to an inspection of the property. Sofa badly stained, No coffee, tea etc, which I would expect when paying over $300 for one night. Deposit on credit card took over a week to be refunded only after I sent email. Property very overlooked. OMG the organisation! As previously mentioned by other reviewers the organisation is appalling!! the actual company that owns the apartments is in the USA, so you are having to communicate with them prior to your stay. This included having to fill in an online form with a photo of your credit card and photo ID. I felt this was really dodgy so avoided doing it but was told check in could be delayed by hours if I didnt. I have 3 kids aged 1-6 years so there is no way I'm having a delayed check in so I did it. Prior to arriving you have to give an estimated time of arrival by email, then phone the local manager an hour before your arrival, then phone again when you actually arrive at the place you are meeting. A lot of hassle and honestly felt like we were doing a drug deal not checking into an apartment! Once you get to actually meet the person they don't just hand the keys over (too easy), you have to go to the apartment with them to get the keys so for us this meant walking to two different apartments to get both keys. To check out you need to leave the keys in the apartment - easy right? Oh no, because you have to leave the car parking key in there as well so check out involves driving the car out of the car park, finding somewhere to leave the car (in auckland city centre)and run like hell back to the apartment to leave the keys - come on! Not cool and so bloody stressful! The apartment was so hot it was unbelieveable. We live in Hamilton with no air con and are not fussy sleepers but man this place was an oven! We had the doors and windows open and the fan on but the kids just tossed and turned all night, it was pretty brutal. The pull out sofa was in fact an inflatable bed that went down with a 4 and 6 year old sleeping on it. We put the kids in the bed and slept on the floor the second night. Smoke alarm battery kept beeping when I arrived so I had to call to ask someone to sort it (they just removed the alarm itself!) The apartment was pretty dirty considering the amount charged for cleaning (eg back dirt and dust on top of light switches) Daisy was late to meet me, although I had given plenty of notice of arrival time. I can excuse this due to Auckland traffic, however would have preferred not to have to wait. No tea bags or coffee sachets, this would have been a nice welcoming touch. There was only 1 set of keys, would prefer 2. Didn't realise that the modem wasn't already plugged in, not really something I didn't like but it may save you wondering why you can't connect or find the username. That it said there was parking on the advertisement but it was not available so ended up spending more money on parking that we didnt need to and had to get up at 8am to move cars from parking buildings to avoid paying $50 for a full days parking which wasnt what we wanted on our holiday! it didnt state on the add that parking would be an extra $25 per day until after booked in as well would have paid it but it wasnt there and it was the only reason we pick that apartment so actually really unhappy it wasnt there and when i brought it up with the owners they ignored me didnt offer a free alternative since it was their issue because they had not provided a service they said they would and because bookings.com said it was a non refundable booking we were trapped so im not sure i will ever book again through here because the price did not match up to services provided. And there was no way to get a refund when you had booked. The handle of the bathroom was broken also. Would not go back. We are 3 adults check in, but only perpare for 2. Washing machine was broken. I contact their office, they never can to fix the problem and bring extra bed quilt.